NBA Playoff Simulator – Who will win the NBA Finals? The NBA Playoffs tip off on April 13th. Sixteen teams will vie for the NBA Championship. The playoffs take nearly two months to play out before the Finals tip off in late-May. So, there will be plenty of games to wager on. ZCode System’s Playoff Simulator allows sports bettors and investors to test their predictions on cold hard data. 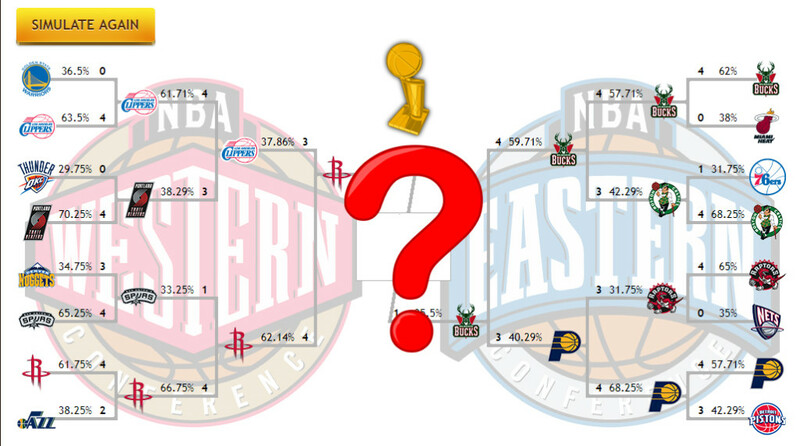 The Playoff Simulator can be used to predict just which team will win the NBA Finals. It can also help sports bettors determine which teams won’t win it. 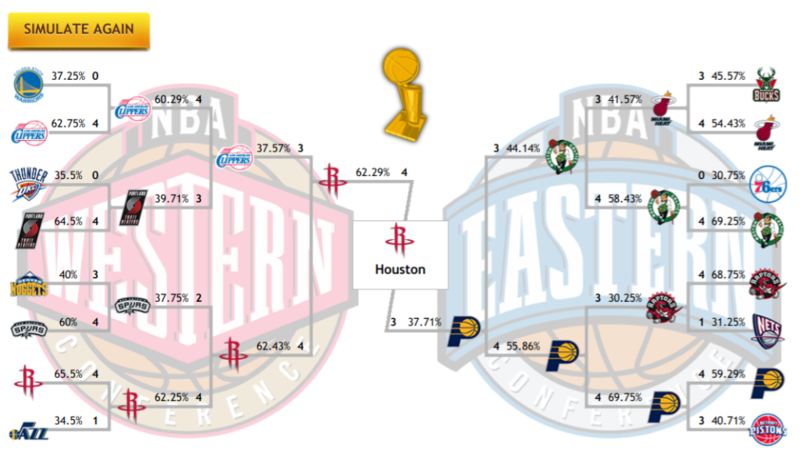 With the NBA Playoffs just around the corner, ZCode System ran its Playoff Simulator. 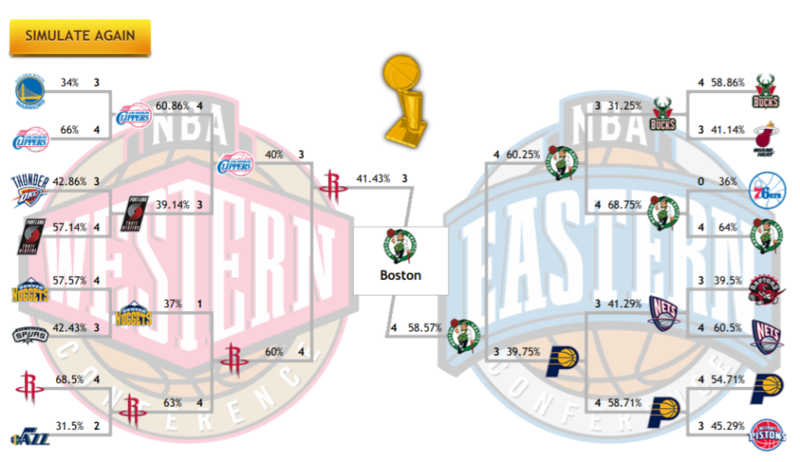 But before we show you the results, let’s look at the favorites to win the NBA Finals. The Golden State Warriors are the favorites to win the NBA Finals, according to leading sportsbooks. Stephen Curry has led the Warriors to four straight NBA Finals. Golden State has won three of the four and this year could see them win a fourth in five seasons. Despite the issues the Warriors have experienced on and off the court, they are still the NBA’s best and most consistent team. The Houston Rockets and Oklahoma City Thunder are both attractive picks to win the Western Conference. But outside of Russell Westbrook and Paul George, there are serious questions over how deep in talent OKC is. Houston has been inconsistent and unable to follow up last year’s best regular season record despite James Harden’s stellar play. In the East, the Milwaukee Bucks are the most complete team. That doesn’t mean they will emerge as Eastern Conference champions. The Toronto Raptors and Philadephia 76ers are both good enough to represent the conference in the Finals. And what about the Boston Celtics? Like the Rockets, the Celtics are a Jekyll and Hyde team. They can blow out the Warriors one night and get throttled by the Orlando Magic the next. While Golden State is the favorite to win the NBA Finals from the Western Conference, Toronto currently leads odds in terms of teams from the East. All Playoff Simulator predictions were made on March 7, 2019, at 9 a.m. EST. For the first simulation, the upset level was set on average. Some interesting predictions were made. Most significantly, the Warriors were beaten in the first round by the LA Clippers. Meanwhile, the Rockets defeated the Indiana Pacers in the Finals. Now, let’s look at a simulation on a low upset level. Surprisingly, we see very similar results to the previous simulation. The Warriors are beaten in the first round and the Rockets top the Pacers for the championship. Now, let’s look at one last simulation. This time we set the upset level on high. Once again, we see similar results. But this time, the Rockets are beaten by Boston in the NBA Finals. 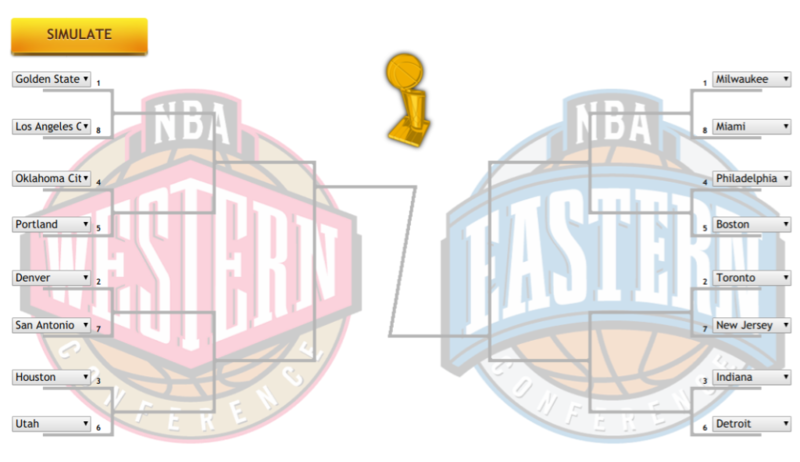 As NBA experts claim, any of the East’s playoff teams can emerge and make the Finals. Perhaps this season, the same holds true for the West. LR app works smoothly on my iphone.